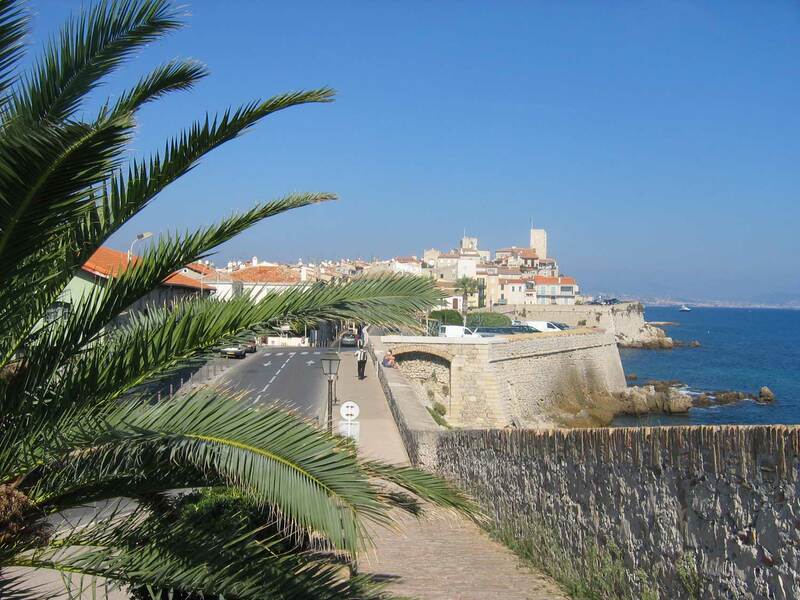 Today the CENTRE INTERNATIONAL D'ANTIBES is one of the most important centers in France teaching French to foreigners. Each year we welcome 5,000 students from all over the world. 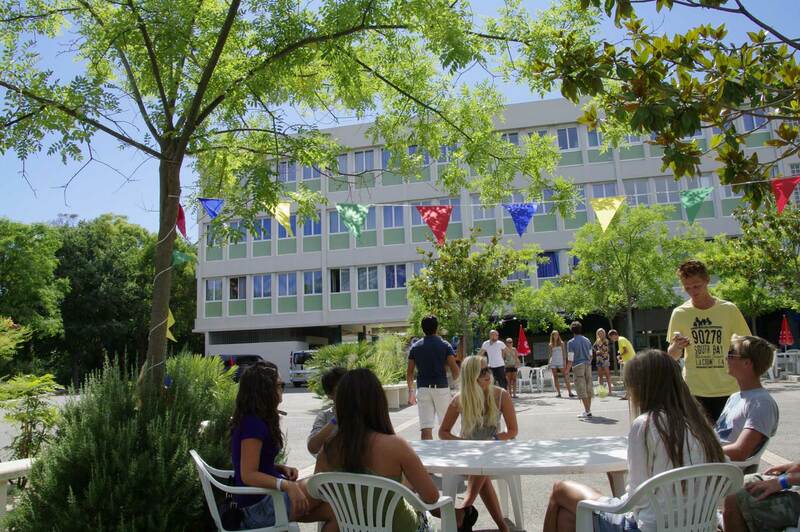 (*) The Centre International d’Antibes offers courses without accommodation for children aged 6 plus. 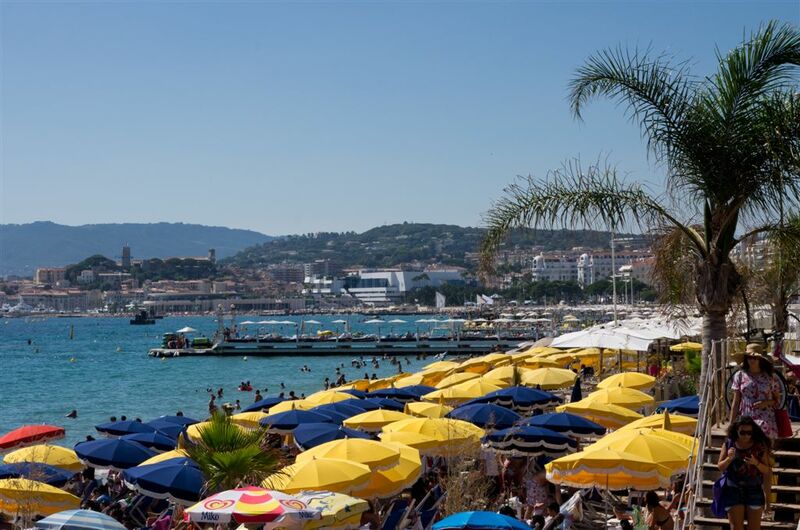 Antibes/Juan-les-Pins is a prosperous, safe town that’s lively by both day and night and our most popular destination for youngsters and teens. 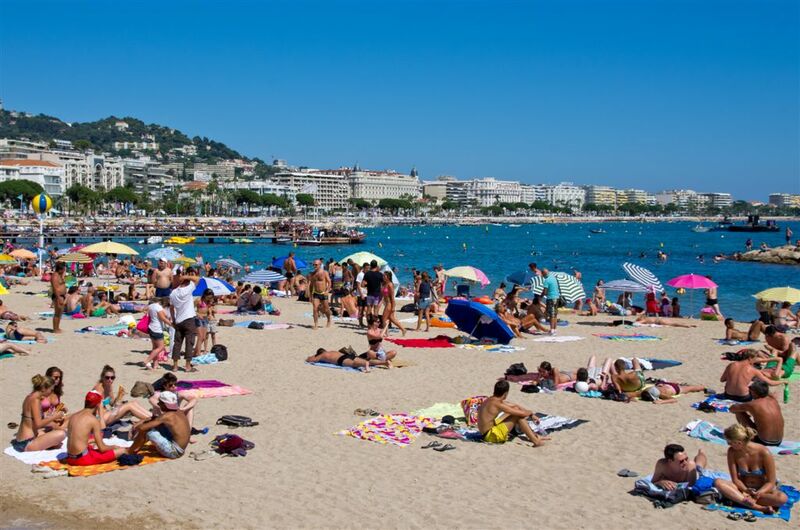 6 miles from Cannes and 12 miles from Nice, with 16 miles of beaches and 300 days of sunshine a year, Antibes / Juan les Pins is a Saint Tropez for kids and the place to be at that age. The program includes : Full-board accommodation, French lessons, activities and excursions, transfers, supervision. Work on grammar and developing oral and written skills through playful, motivational learning activities. Based on an active approach to education, the dynamic teaching stimulates young students, arouses their interest in language and improves their knowledge of French culture. On campus or with a host family for students over 13 (2, 3 or 4 students per room). A buffet lunch is served on campus during the week. On weekend excursions a picnic lunch is provided. Every day after class we offer a program of activities or excursions (no excursions on the weekends of arrival and departure). These activities are organized and supervised by our group leaders. They are constantly present to respond to requests, organize games, share meals and be around generally speaking to help young students. - A full day excursion at the weekend (the Lérins islands, Nice or a water park). - A half day excursion during the week (Monaco, Cannes, Marineland, etc). 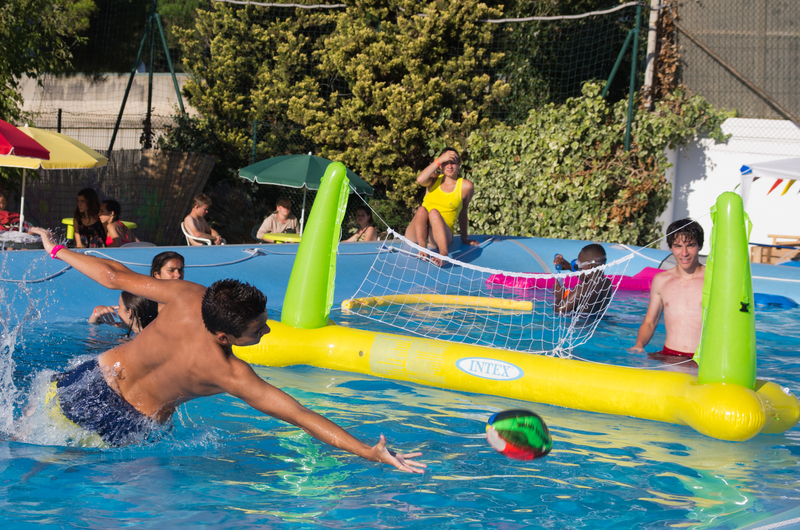 - Numerous sporting activities (sports tournaments, themed activities, etc). - Fun activities: Games, cabarets, shows. From/to Nice airport or Antibes station. 500 yards from the beaches, with accommodation in luxury studio apartments and an exclusive program of activities for a group of privileged students! 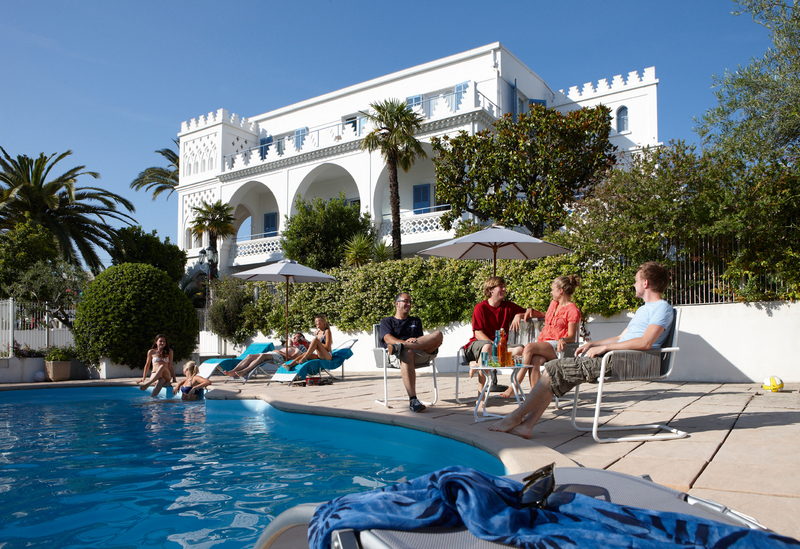 The program includes : Full-board accommodation in a studio apartment in our Castel Arabel Hotel Club, French lessons, activities and excursions, transfers, supervision. In air-conditioned studio apartments with bathroom, television, fully equipped kitchenette and terrace or balcony. On the premises: A small swimming pool, a television room, a restaurant and a large terrace. … plus half a day on a private beach with water sport activities (tubing, banana, parasailing, Flyfish, etc). - Our free shuttle service is available to students living on campus who wish to go to the beach or town center. While famed for its palaces, its luxury hotels and its Palais des Festivals, Cannes is still a traditional Mediterranean town that’s accessible to everyone. You’ll quickly feel at home in this intimate town of 70,000 inhabitants. - A half day excursion during the week (Monaco, Antibes, Marineland, etc). From/to Nice airport or Cannes station. Our program is designed for international students wishing to follow secondary education in France and offers them total immersion at a private college in the South of France. The college enjoys an outstanding location, at the heart of the Domaine de la Navarre vineyard, between the towns of Toulon and Hyères and just 9 miles from the sandy beaches of the Mediterranean. The program includes : 4 weeks of our all-inclusive juniors program in Antibes with a French course (20 lessons per week), an academic program tailored to the student’s age and recognized by the French Ministry of Education, full-board accommodation, extracurricular sports and activities, supervision by experienced teachers. The primary aim of this course is to improve students’ level of French in order to help them follow an academic course in France. Grammar work and the development of oral and written skills through entertaining and motivational learning activities. Our teaching approach is based on our desire to help young people grow and develop by bringing out their strengths. It offers teaching in small groups and personalized academic support. Disciplines: Mathematics, French, English, Spanish, earth and life sciences, technology, history of art, physics and chemistry, history and geography, music education, physical education, applied art, etc. Diploma obtained: Brevet des collèges (junior high school certificate) at the end of the 3rd year. Set at the heart of the Domaine de la Navarre vineyard between the towns of Toulon and Hyères and 9 miles from sandy beaches, this estate extends over some 740 acres and includes a vineyard, open spaces, fields, woods and forests. The school and its infrastructure allow young people to open up through this contact with nature, get their bearings, develop values, follow their academic course at their own pace and grow their individual talent, whether it be for sport, culture or the arts. Full board. During the week all meals are provided by the specialist college caterer, based on 3 key criteria: guaranteed quality, nutritional balance and food hygiene. At weekends meals are prepared by the host families. Students are offered a range of activities led by professionals: dance, chess, role-playing, theater, multimedia workshops, athletics, horse riding, football, sailing, etc. Open-air activities in the spacious grounds play an important part in the students’ daily lives and form an integral part of the school’s approach to teaching. • Students are offered a range of activities led by professionals: dance, chess, role-playing, theater, multimedia workshops, athletics, horse riding, football, sailing, etc. • Open-air activities in the spacious grounds play an important part in the students’ daily lives and form an integral part of the school’s approach to teaching. This course is based on playful learning activities which encourage children to develop oral skills. The aim is to familiarize them with the French language and enable them to meet their immediate needs in an everyday context. The methods and games used are designed for young students. Timetable : 9am-12.20pm*, Monday to Friday. "The school is near the town centre in a quiet area conducive to study. The classrooms are attractive and some have a magnificent sea-view. The teachers are still the best part of the school. Thanks to C.I.A I have learnt to speak French properly"